Dental care is important for anyone’s overall health, according to the Dentacoin Foundation. Reason enough the dental and medical industries to work together to share information in order to provide better treatment for patients worldwide. In a recent manifesto, the foundation dives deeper into this believe, underlined by Blockchain technology. The future of the health care system is going to depend on health care providers from all industries to work together to share information and provide feedback on patient care. We know there is a link between a person’s dental health and their overall health and it is going to become increasingly important to ensure that the dental and medical industries have access to this information in order to provide the best possible treatment options for patients worldwide. Dentacoin to improve integrated health systems? Dentacoin is going to be leading the way for the future of integrated health systems. Using the Blockchain, Dentacoin can provide an open and transparent information system for patients who are being treated in the dental and medical industries. While Dentacoin is being designed to change the face of the dental industry initially, the opportunities for cross treatment are endless. Dentacoin is going to put the power of choice in the hands of the people. The way our dental and medical industries work now is that people only really have access to the specialists, doctors, dentists and surgeons that are in their immediate areas. 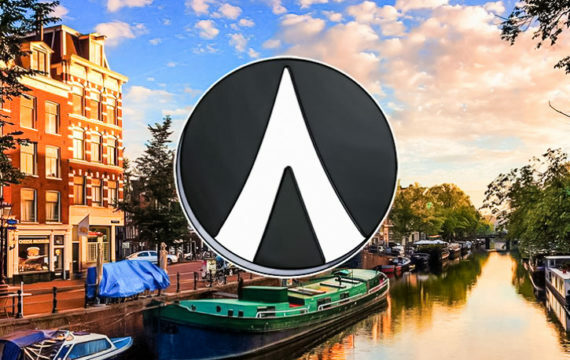 Sure, some choose to travel far and wide to seek specialists treatment, but what’s game changing about Dentacoin is that the platform will provide worldwide information, statistics, outcomes, and opportunities for more treatment options for patients. You are probably saying to yourself, “well, doesn’t the internet do that already?” And the answer is a resounding “no”. Dental professionals are not maximizing the opportunities for collaborative treatments with other dental and medical professionals. Because information tends to stay put in a medical office, unless a referral is being sent out, the information is not accessible by the public for more education, information, and options for their own treatment. As the dental and medical industry move toward a more robust information system and collaborative approach to patient care, the information that is available must be reliable and verifiable. When was the last time you read something on the internet and thought to yourself, “this is garbage”? People don’t question what they read, and dentists don’t put enough information out there for people to learn about their options. Dentacoin is going to encourage the industry to take a long hard look at how it is processes and disseminating information to patients and other medical and dental professionals, and this change is going to provide a more robust integrated health system worldwide. Dentacoin is the first Blockchain concept designed for the Global Dental Industry. The Dentacoin ERC20 token is configured to be used globally by all individuals. Dentacoin claims it’s a completely autonomous, decentralized organization. that represents a network of decentralized users, taking decisions together. Every user can vote for or against any given decision based on a voting smart contract. aims at improving dental care worldwide and making it affordable through utilizing the Blockchain advantages. The foundation, founded by Prof. Dr. Dimitrakiev, believes that empowering patients to become an active part in the industry development process is the key to shaping the future of dental care. The pilot Dentacoin project (Trusted Review Platform) is on its way to be developed as the first transparent, tamper-resistant and manipulation-protected platform of its kind.